Hilo, HI—The Draft Environmental Impact Statement (Draft EIS) for the proposed $1.2 billion Thirty Meter Telescope Project (TMT) will appear Saturday, May 23 in the Office of Environmental Quality Control’s (OEQC) Environmental Notice. The draft document details the environmental, community, economic, and cultural impacts of locating TMT on Maunakea. The TMT project encompasses the construction, operation, and ultimate decommissioning of the world’s most advanced optical / infrared telescope. The plan proposes building TMT on the northern plateau of Maunakea at a location designated in the 2000 Mauna Kea Science Reserve Master Plan for the next generation of optical telescopes. This location was preferred because it provides suitable observation conditions with minimum impact on existing facilities, wēkiu bug habitat, archaeology/historic sites, and the view of the mountain from various areas on the island. 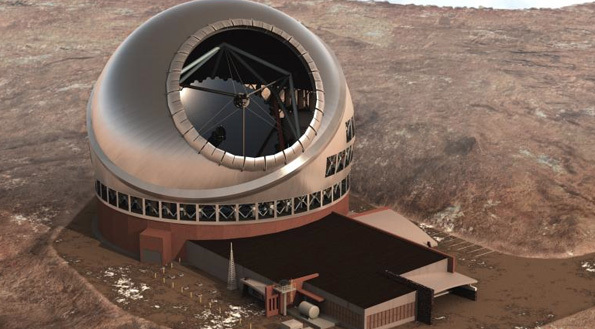 The Draft EIS addresses the proposed TMT Observatory and associated facilities, including the mid-level facility at Hale Pōhaku, the headquarters in Hilo, and a potential satellite office in Waimea. June 16: Waimea Elementary School Cafeteria, 5-8 p.m.
June 17: Hilo High School Cafeteria, 4-8 p.m.
June 18: Pahoa High School Cafeteria, 5-8 p.m.
June 22: Kau High / Pahala Elementary School Cafeteria, 5-8 p.m.
June 23: Kohala Cultural Center, 5-8 p.m.
June 24: Kealakehe Elementary School Cafeteria, 5-8 p.m.
June 25: Farrington High School Cafeteria, 5-8 p.m.